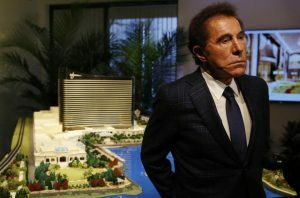 Following the controversial sexual accusations on its former chief executive officer and chairman Steve Wynn, casino giant Wynn Resorts has now engaged in preliminary talks with MGM Resorts International to possibly sell one of its properties. Wynn, the 76-year-old American businessman, resigned earlier this year after reports swirled throughout the industry that he was making unwanted sexual advances with some women who worked for his company. He, however, has denied the claims, saying the accusations were brought by his ex-wife in the hope of her getting a favorable result as they head into divorce proceedings. Wynn was able to take $2.14 billion with him when he exited the company he built 16 years ago. He sold his 11.8 percent stake in the firm. That is equivalent to 12.1 million shares. Matthew Maddox, one of the longest-serving executives in the company, has taken over the position of CEO. He has tried to save the company from prospective losses. 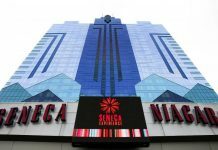 But, nonetheless, experts close to the situation believe that the move could help save the casino from going downhill in the next few years. The multibillion-dollar gambling company has six properties around the world, including the Wynn Macau Resort, Wynn Palace, Encore at Wynn Macau, which are all located in Macau, as well as the Encore at Wynn Las Vegas and Wynn Las Vegas, which are situated in the Sin City, and the Wynn Boston Harbor in Everett, Mass. Wynn Boston Harbor, which was formerly known as the Wynn Everett project, is a casino-resort located just outside of Boston. It is currently under construction and is expected to open in 2019 at a total cost of $2.4 billion. The Wall Street Journal broke the news online recently that American entertainment company, MGM Resorts International, has shown a keen interest in purchasing the Boston property. 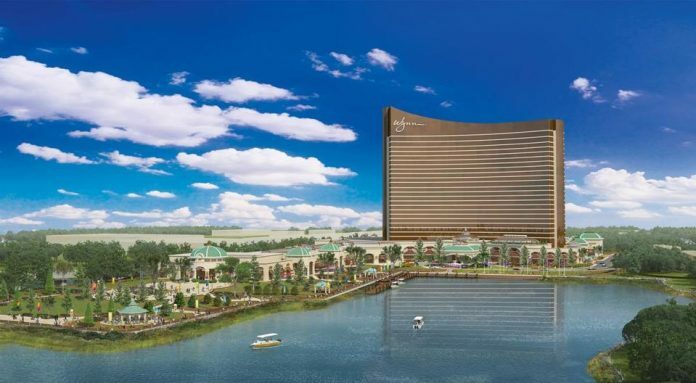 However, it wanted to be reassured by regulators in Massachusetts that they will be taking a very deep look into Wynn Resorts’ gaming license in the state. In addition, the Wynn Boston Harbor is also reportedly the biggest private single-phase construction work in the history of Massachusetts. It has 33 acres of land and is composed of 3,400 parking spots and 629 hotel rooms. According to numerous sources in the industry, making such a deal would be a steal for MGM Resorts International, especially since it is considered the most coherent buyer. 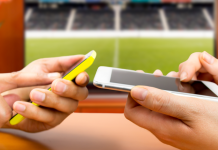 It has a legal gaming license, as well as the uncanny ability to bankroll large acquisitions. 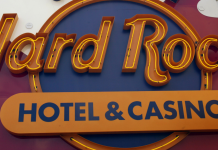 In addition, MGM Resorts International has been setting its eyes on opening a casino in Springfield but could not because of regulatory issues. It has also been reported that MGM Resorts International will likely sell its Springfield project to two Indian casino operators in Connecticut and Ohio. Following the disqualification of gaming giant and rival Caesars Entertainment Corp., MGM Resorts International is, now, the clear favorite to purchase the Boston property. Caesars was among the first to join the bidding but was found ineligible by the regulators because of the massive debt it has accrued. Even though the deal is not yet confirmed, people close to Wynn Resorts believe that the deal would not only help the company financially but also legally. There is the possibility it could have its gaming license stripped. Maddox said that the company is determined to finish the Everett Project. However, he reiterated that the company looks to take full advantage of its value and diminish the risk of possible losses within the company.